The Sponsor is part of the Far East Organization group of companies, which, since its establishment in 1960, has grown to become the largest private property developer in Singapore and has been a key contributor to the transformation of Singapore's urban landscape through its pioneering of innovative real estate products and solutions in Singapore. 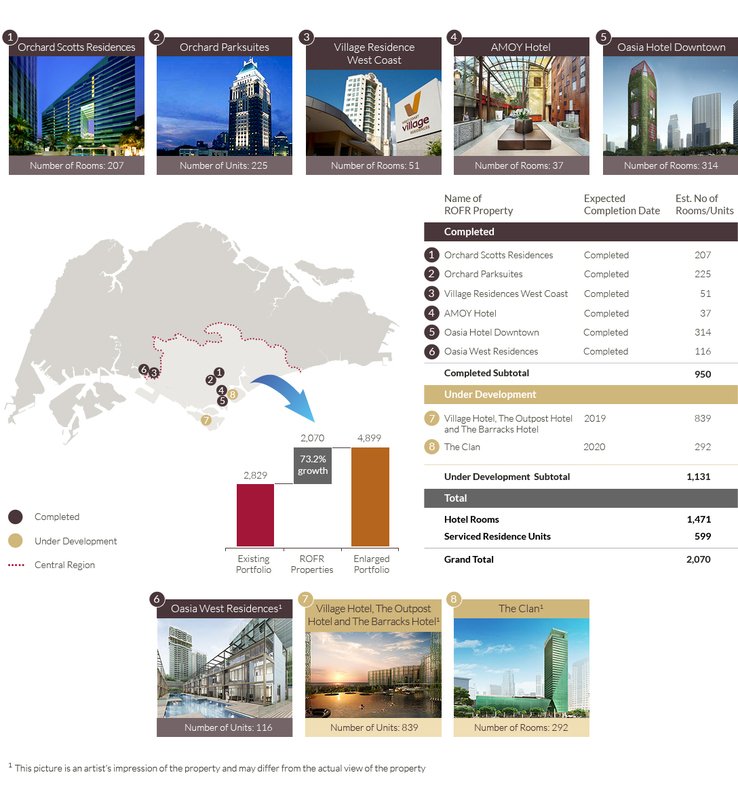 Far East Organization is the largest private property developer in Singapore. Since its establishment in 1960, Far East Organization has been contributing to the transformation of Singapore's urban landscape with over 770 developments in the residential, hospitality, retail, commercial, healthcare and industrial space segments, including 53,000 or one in six private homes in Singapore. It is also the city-state's biggest private residential landlord and operates one of the largest hospitality portfolios in Singapore. Far East Organization includes three listed entities: Far East Orchard Limited, a hospitality and property group, Far East Hospitality Trust which consists of Far East Hospitality Real Estate Investment Trust and Far East Hospitality Business Trust, and Yeo Hiap Seng Limited, a 117-year-old industry pioneer of processed food and beverage products in Southeast Asia. The Organization's listed hospitality and property group, Far East Orchard, has established partnerships in the hospitality business with The Straits Trading Company and Toga Group, Australia, extending its portfolio globally with close to 90 properties and over 13,000 rooms across seven countries. Far East Organization is the only developer in the world to be bestowed ten FIABCI World Prix d'Excellence Awards, underscoring its unique achievements in the international real estate arena. More information on Far East Organization at http://www.fareast.com.sg/. Far East Orchard has separately granted a right of first refusal to Far East H-Trust, which provides Far East H-Trust with access to future acquisition opportunities of income-producing properties located in Singapore which are primarily used for hospitality and/or hospitality-related purposes. The Sponsor has identified eight Sponsor ROFR Properties which could potentially be offered to Far East H-Trust as hotels or serviced residences, under the Sponsor ROFRs.